When it comes to design this crescent moon shaped chair offers a great deal of appeal and features a criss-cross design that adds a great deal of character to the mix. Ensure that you get the most comfortable hammock, the chair even offers a rectangular pillow, where you can easily rest your head and back. Both the cushion and the pillow are set in place, so you will not have to worry about them slipping from under you. Available for individual purchase. 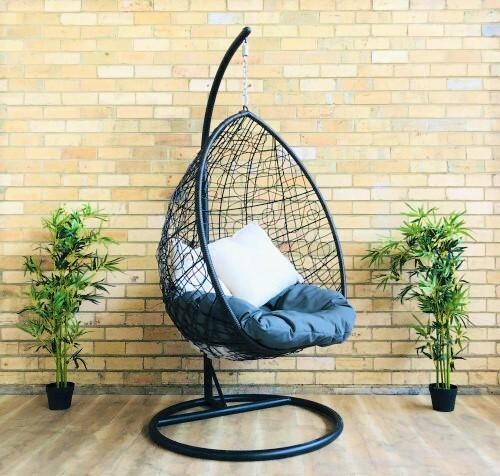 This sleek and stylish hammock chair is the perfect way to spend long summer days. As it offers a great deal of comfort, and stability that you are looking for. 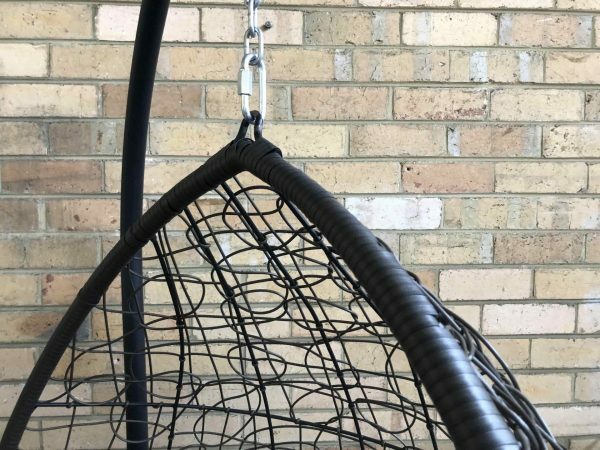 As there is no better way to spend some time soaking up the sun in your garden, then by lounging on this durable hammock. In addition, to comfort you get a modern and appealing design that will help you keep a light touch to your garden space. Along with a sleek modern look, that will help make the place look open and bright. This rattan hammock is designed to offer you hours of comfort that does not compromise on quality. So you do not have to deal with bulky and heavy furniture to get a comfortable seat. the quality materials used to manufacture the hammock chair help ensure style, comfort, and security. 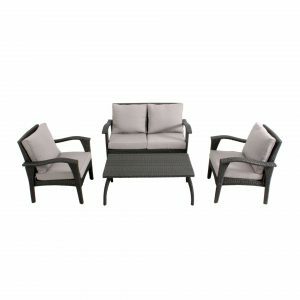 So you get the best of the lot when it comes to furniture for your home or outdoor space. Along with that, you can easily bring this comfortable piece into your home, as it will help add a touch of a contemporary twist to the design. Allowing you to lounge easily in your living area, or bedroom. When it comes to design this crescent moon shaped chair offers a great deal of appeal and features a criss-cross design that adds a great deal of character to the mix. Ensure that you get the most comfortable hammock, the chair even offers a rectangular pillow, where you can easily rest your head and back. Both the cushion and the pillow are set in place, so you will not have to worry about them slipping from under you. 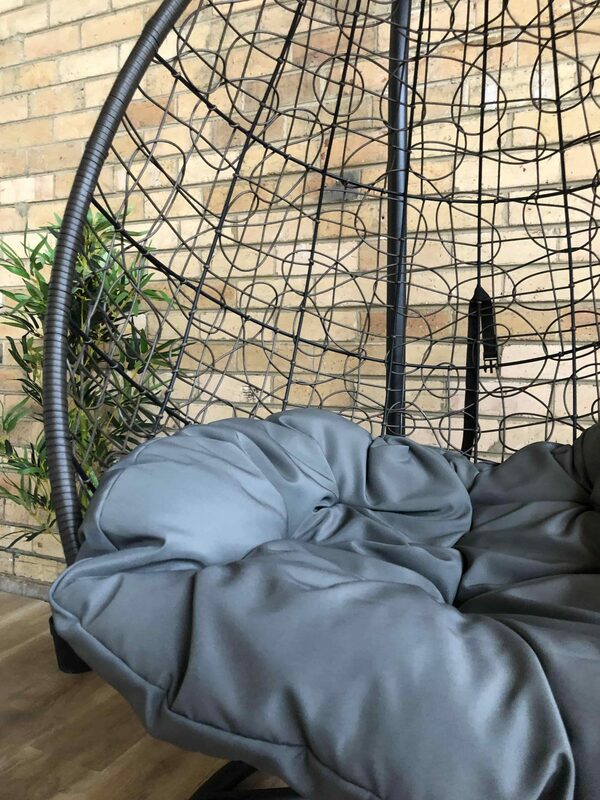 The round base on the bottom offers a great hold on the floor, allowing you to rock back and forth without a worry in the world. As the non-slippery rubbers will hold the hammock in place with great ease. 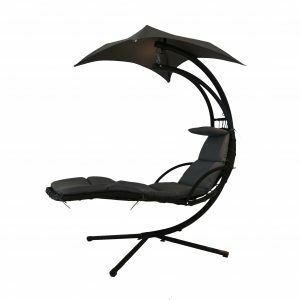 This hammock offers a modern design and will make a beautiful addition to your home or garden space. Its versatile ability is what allows you to use this piece all year around.